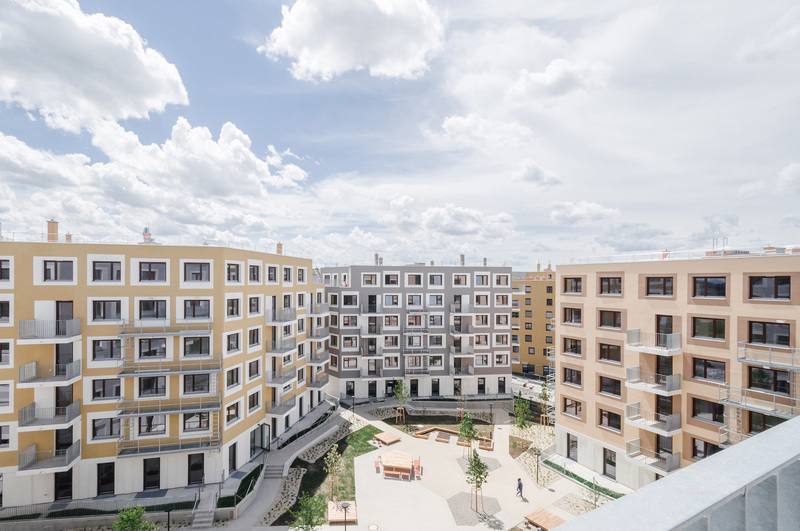 Cost of construction max: The project is part of the Vienna Social Housing Scheme, which means that it is on the lower end of Austria´s rent market, as are roughly one quarter of all Viennese flats. 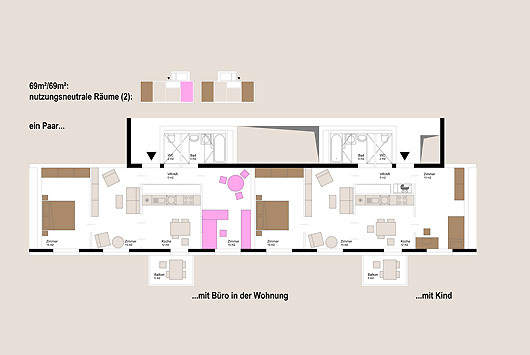 Rental/sale cost compared to market price: Rent in Vienna for contemporary buildings averages out at roughly 15 €/m². 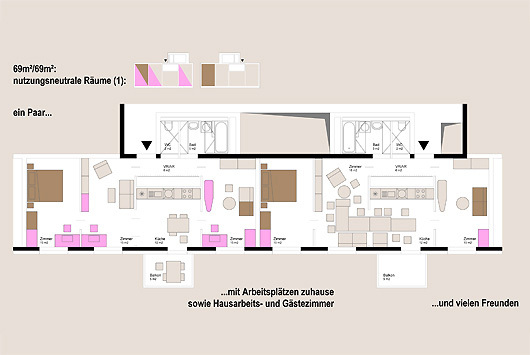 The tenants of our project pay 7,50 €/m² which is a common price in Viennese Social Housing. 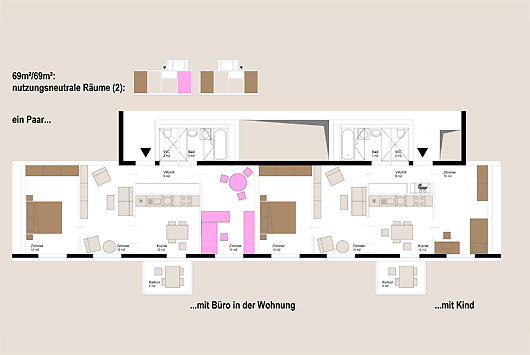 Rules of allocation: One third of the flats are managed through “Wohnfonds Wien” – the housing agency belonging to the City of Vienna – that applies their criteria of tenant allocation. Protection of fragile categories: One of the five houses features a curated mixture of old and young inhabitants. Through a series of meetings and workshops they were introduced to each other to establish synergies between the different generations. A concierge manages contacts between the parties. 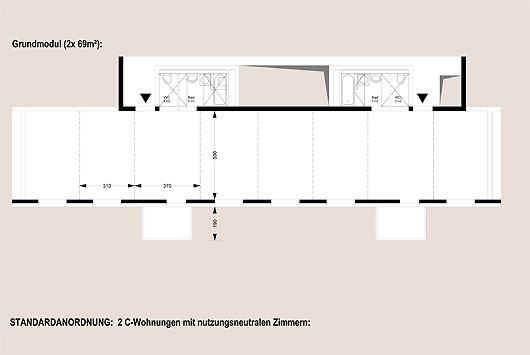 Involvement of inhabitants in the building process: All inhabitants had the possibility to participate in the layout of the project´s main open space, the court yard. A certain budged hat been allocated to that task that the inhabitants were able to spend on its infrastructure. Community accompaniment in the life of the building: no. Functional mixitè: The project is part of a curated shopping street that provides all necessary amenities for city living. They had been assigned to the projects in advance. In our case that are a bakery with coffee shop and a drugstore. We have 5 additional shop spaces that provide additional typical urban facilities like a church community space or a dentist. Common spaces and shared living: Each house has one 4m high community space next to the entrance opening onto the street. In this way all inhabitants can see what´s happening in their house on their way home. The same is true for people passing by on the street. 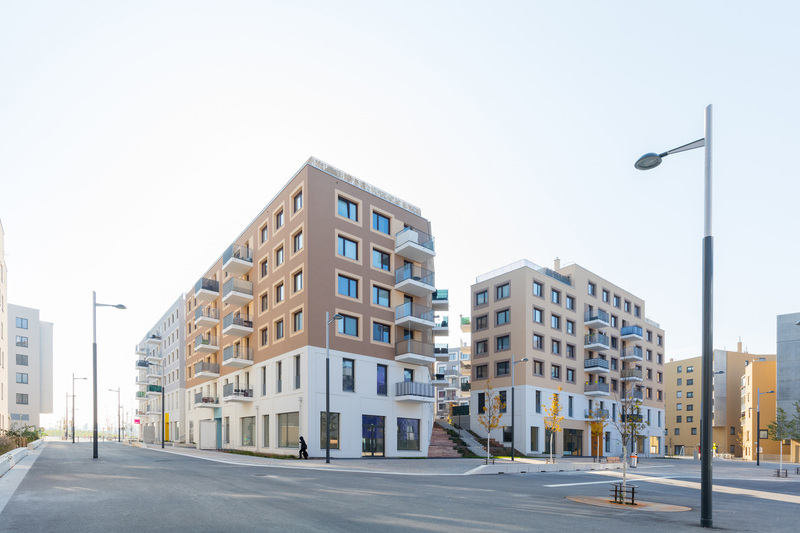 Techniques and strategies for environmental saving: The project has been developed in accordance with the regulations for Viennese Social Housing, that require a higher ecological standard than what is asked for by the general building regulations. 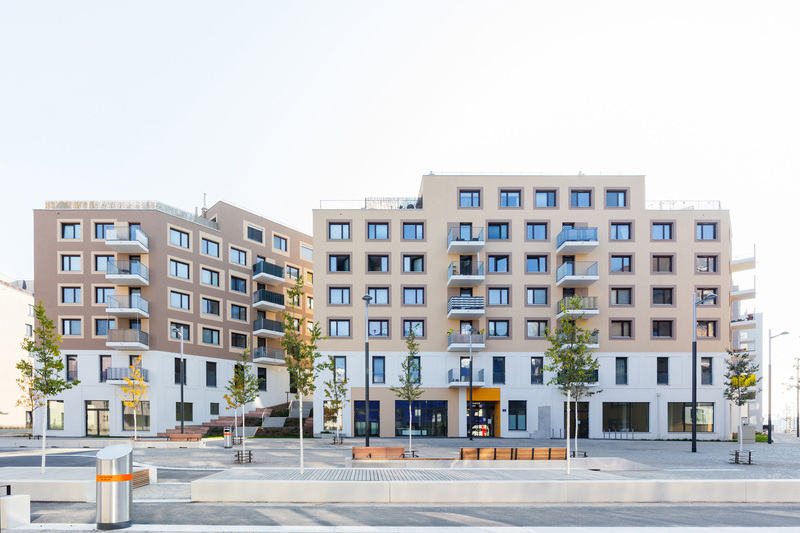 Since it is a project located in “Seestadt Aspern”, it had been constructed in accordance with the ecological rules that are established for that city development, like the reduction of lorry delivery, noise and dust. In January 2012, Atelier Kempe Thill won the competition for fifty – five apartments at the Porte de Montmartre in Paris. 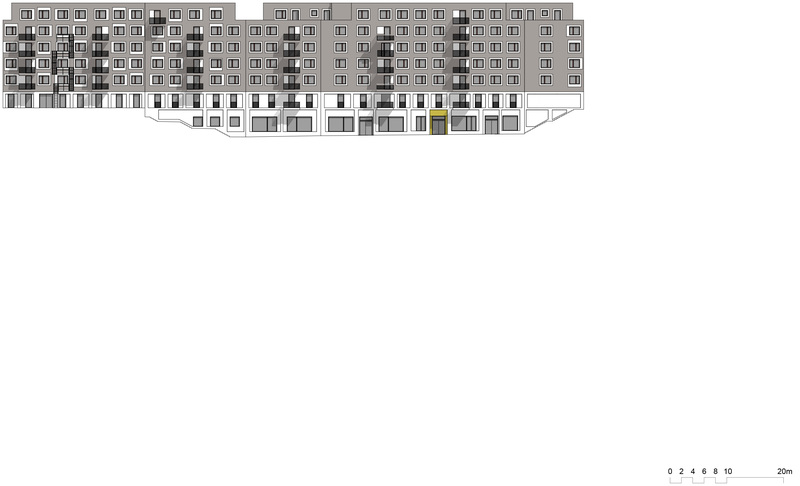 The client is the public housing corporation Paris Habitat. The central task of the project relates to an exploration of housing situated in a very high urban-density situation at the center of a metropolis. 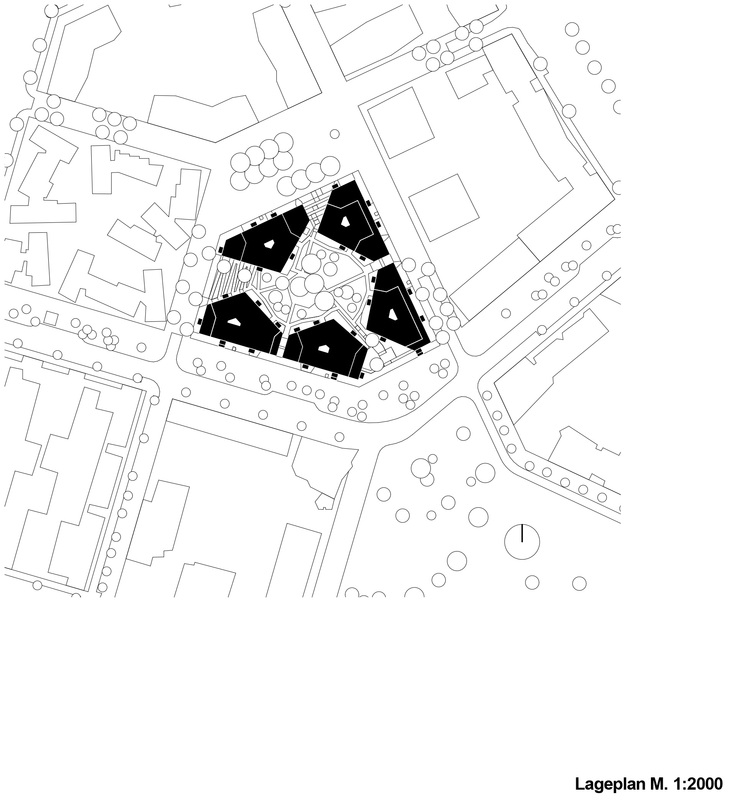 The design proposed for Porte de Montmartre originally started from the idea of situating the program in two compact, rationalistic blocks that are accordingly organized as serially as possible. 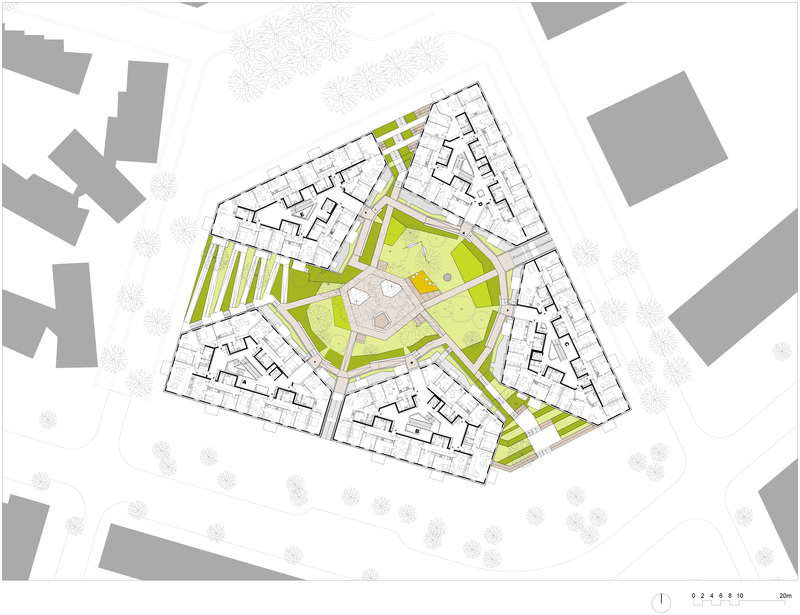 Between the two buildings is a generous courtyard, a communal green space with a small garden. This opens up the view to the Parc René Binet, for both the residents of the two buildings by Atelier Kempe Thill as well as of the neighboring buildings. In order to achieve this typological simplicity and clarity, it is necessary to push the limits within the urban development regulations. The concept of the winter gardens added around the whole building, which fulfill a series of functions, forms the structural backbone of the building typology. From the perspective of climate, the winter garden serves as a buffer and captures the energy of the sun. Acoustically, it primarily serves as a cushion against traffic noise from the nearby Boulevard Périphérique. Spatially, the winter garden forms not only an extension of the apartments but also provides the apartments, which are nearly completely glazed inside, a degree of private space that is desirable in relation to the prevailing French conditions. There is a slight progression in the width of the winter garden: at the wide points, it serves as a high-value outside space with sufficient room for garden furniture, while at the narrow points, it can be used for potted plants, individual chairs for sitting, or the like. The corners of the buildings play a special role in terms of living space, for a twofold orientation is displayed and the living rooms are situated here. Directly in the corners, however, at the most interesting location in terms of space, are the kitchens—an approach that spatially celebrates the French love of cooking. 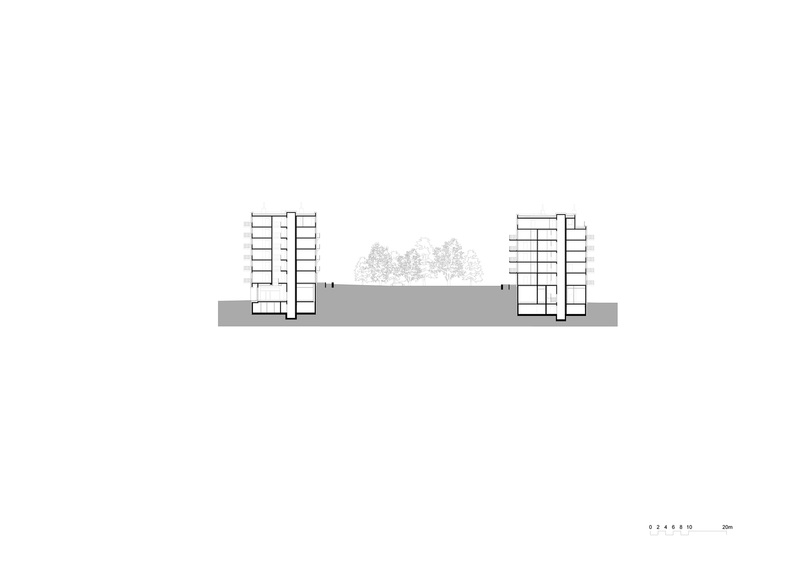 In conclusion, the design can be characterized as a prototype for compact urban living with a considerable influx of daylight, the combination of a view and a private sphere, and individual outside spaces as a buffer to the city.